After three posts examining God’s power in the name of Jesus Christ, we will now focus our attention on how this power was manifested, in the miracle chronicled in the third chapter of Acts of the Apostles. Above I underlined and placed in bold type the word “will”. The reason I did this, is that Jesus never indicated, nor do any of the epistles, that miracles (n His name) would end after the apostolic age. In fact, beyond the apostolic age, through the age of the church fathers, in recorded revival history up to the full gospel movements in England and America, we see miracles, signs and wonders testify to the truth of the gospel message. This continues throughout the world today, largely outside of westernized Christianity, when and where the gospel is preached. It is for this reason, we need to digest the operational aspect of laying hold of the power of God, in the name of Jesus Christ, as we walk in relationship to Him. Let us begin with Acts 3:16. As Peter explains, the lame man at Beautiful Gate, was made well “through faith in His (Jesus Christ) name“. He further elaborates “Yes, the faith which comes through Him has given him this perfect soundness in the presence of you all“. This is very revealing, especially to those who question whether they can conjure enough faith to pray or pronounce a person healed in Jesus name; or like the apostles exercise enough faith to believe to be healed for themselves. The phrase “Yes, the faith which comes through Him” reveals the awesome nature of faith and where it comes from. Let’s look at Galatians 2:20, a very well know and often quoted passage. 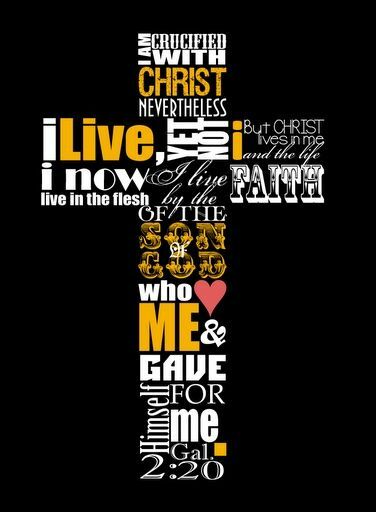 Galatians 2:20 I have been crucified with Christ; it is no longer I who live, but Christ lives in me; and the life which I now live in the flesh I live by (the) faith in (of) the Son of God, who loved me and gave Himself for me. You’ll note I added (the) and (of) next to “in“. The reason is that this is what is reads in the KJV Bible “by the faith of the Son of God”. This translation is actually the most accurate Greek translation into English, and reveals that our faith to believe for salvation is not our’s–nor is our faith to be healed because of Jesus’ Name–nor is our faith to believe for our sanctification or whatever other promise God has given us in Christ; the faith is given to us by Jesus. It is His faith. Jesus perfectly walked in the Spirit, by walking in faith. This is why He is the Author and Finisher of our faith. Remember in Christ’s self-emptying, though He is fully God, He chose to lay aside His right or prerogative to express His character as God, unless led by the Holy Spirit to do so. Therefore we can understand a passage like “for the joy set before Him, he endured the cross...” (Hebrews12:2). The joy set before Him was resurrection, reuniting with the disciples, ascending to His Father, the salvation of all who would believe on the cross. These were all future events that were promised. Despite this joy, he still needed to die a horrible death. Therefore His endurance was by faith “the substance of things hoped for… the evidence of things not yet seen (Hebrews 11:1). Our great God and Savior the Lord Jesus Christ is the one who provides each man a measure of faith, and in critical encounters (like the one we are looking at in Acts 3:16), He provides faith to believe and act upon what is seen, in His name. In our case “the faith which comes through Him” is seen in both the lame man and the ministering apostles. The lame man was expecting to receive something (Acts 3:5), upon Peter’s insistence that he look at them. What did he expect to receive? Did he recognize Peter and John as men who had been with Jesus and expect soemthing supernatural? We don’t know. It’s possible at first he simply thought he would receive some alms. What we do know is that when the man heard the name of Jesus Christ of Nazareth something clicked. At first we see Peter kind of took his hand and lifted him up, but after standing, we read in verses 8-9, that he did some additional things in faith, without Peter (leaped, stood, walked, went walking in the temple, leaping and praising God). These things he did by faith. It was the faith in Peter and John to stand him up, but it was his faith in Christ, by which he attained the rest. This man had been laying there for decades. He most likely knew of Jesus’ ministry, which over the course of three and half years had many stops at the temple. 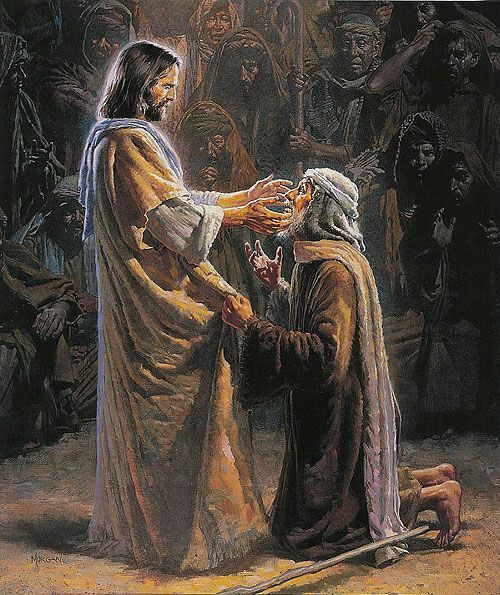 Perhaps he had seen Jesus and wanted to be healed or hoping for an opportunity that never came. Whether he knew Peter and John is a moot point, because when he heard the name of Jesus Christ of Nazareth, the Holy Spirit gave him the needed faith to move. Once up on his feet, it was up to him to put one foot in front of the other. This is why Peter declared to the amazed onlookers “And His name, through faith in His name, has made this man strong, whom you see and know. Yes, the faith which comes through Him has given him this perfect soundness in the presence of you all“. So healing does take faith in the one receiving, but God be praised, in His mercy He provides the faith. Therefore, little faith is not the key issue the issue, but unbelief , when there is a delay to healing(but that is for another time). Despite this revelation, there would have been no miracle, had the apostles not first acted with faith in the power that is in Jesus’ name. Their actions reveal a little understood truth, that in cases of miracles which lead too or testify to evangelistic efforts, the operation of faith is a gift of the Spirit. What we are about to discuss is a bit of a pet peeve of mine. In Pentecostal circles, the manifestation gifts of the Holy Spirit (detailed in I Corinthians 12:1-11), are mostly relegated to congregational gatherings. This is a grievous error, as the gifts are to operate wherever the church gathers in Jesus’ name, for the kingdom purposes. The lack of the full complement of the gifts of the Spirit, in many Pentecostal settings, ought to reveal these gatherings are not forwarding kingdom purposes. Consider where the gifts of faith, healing, miracles, discerning of spirits, word of wisdom, or word of knowledge mostly took place, in the Book of Acts… where two or more believers were ministering in Christ’s name. Full gospel people, must not settle for a trickle of kingdom power in the places we gather for worship. We must walk outside the sanctuary, expecting God to manifest the gifts of the Spirit, in our efforts to declare the good news. This is exactly what happened in Acts 3. Between Peter and John the gifts of the Spirit were in operation, such as, the gift of a word of wisdom, the gift of faith and the gifts of healing. It is the gift of faith which leads Peter to declare “Look at us” and subsequently, “Silver and gold I do not have, but what I do have I give to you in the name of Jesus Christ of Nazareth, rise up and walk” (Acts 3:4-6). Acts 14:8-10 8 And in Lystra a certain man without strength in his feet was sitting, a cripple from his mother’s womb, who had never walked. 9 This man heard Paul speaking. Paul, observing him intently and seeing that he had faith to be healed, 10 said with a loud voice, “Stand up straight on your feet!” And he leaped and walked. Here we see Paul, with the a gift of knowledge “Paul, observing him intently and seeing that he had faith to be healed“. How did Paul see faith in a man who was sitting and listening to him preach, but by a gift of knowledge from the Holy Spirit. This gift was coupled with faith and the gift of miracles. In response to this the man had faith to get up and then “he leaped and walked“. This process and endowment of faith in the name of Jesus, beyond the measure of faith given in salvation, ought to set many at ease as to who is producing miracles, signs, wonders and bringing transformation power… The Holy Spirit! He also supplies the faith in the moment of need. We simply must believe for the power that is in His name and obey His leading. For there is power in the name of Jesus Christ. Have you ever felt the prompting of God’s Spirit, to declare a miracle, lay hands on the sick, pronounce a word of wisdom, knowledge or seomthing prophetic? How did you respond and if this has not occured, what could be hindering? Let us remember God is the same yesterday, today and forever. He equipped His saints in Acts of the Apostles, He will continue to do so, for all who follow Christ, even until He comes. This entry was posted in Acts 3:16, All Hail the Power of Jesus Name, Uncategorized. Bookmark the permalink.